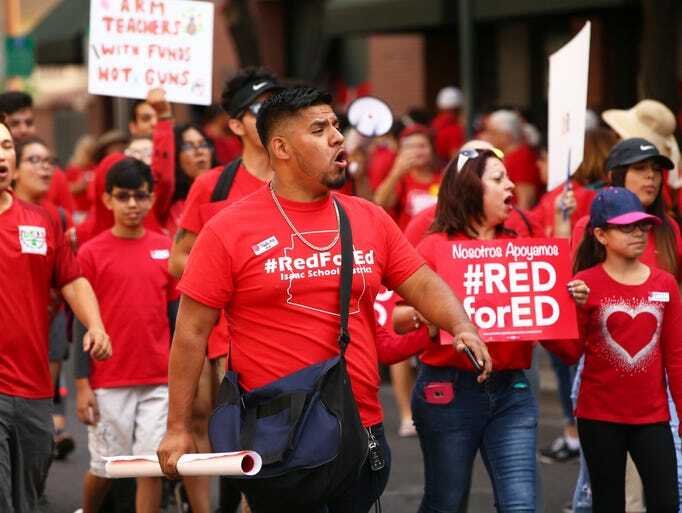 More than 840,000 of Arizona’s 1.1 million public-school students in 1,000-plus schools will be affected by closures Thursday, the start of the statewide teacher walkout. 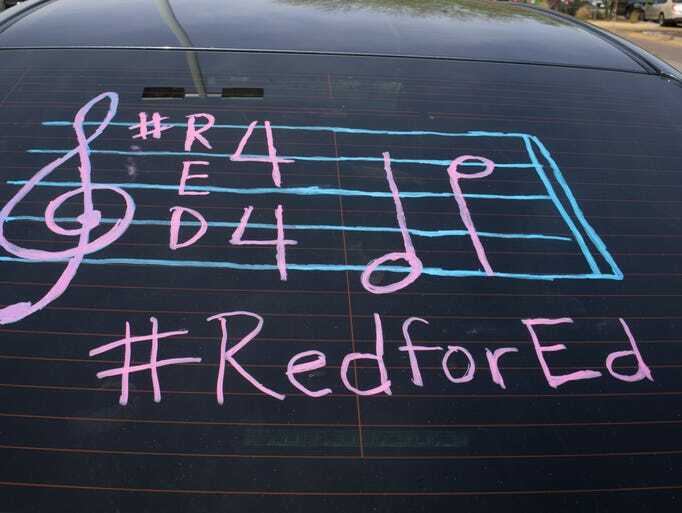 An Arizona Republic analysis, updated as of Wednesday morning, illustrates the vast reach of the state’s grass-roots #RedForEd movement that began in early March after a West Virginia educator walkout catalyzed a nationwide wave of teacher revolts for more education funding. 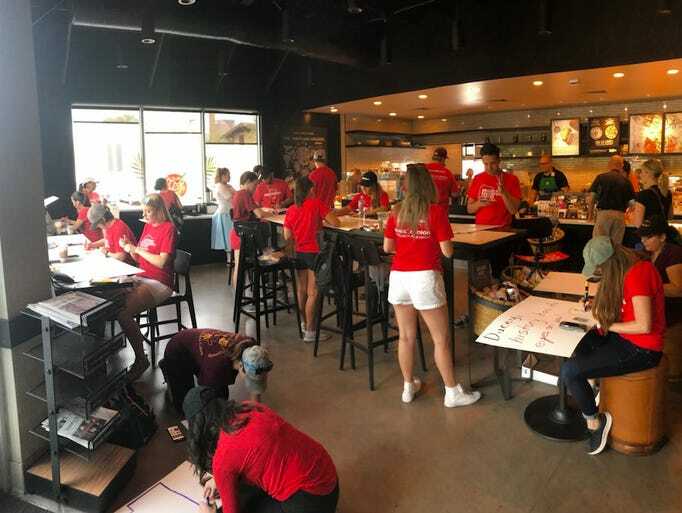 For weeks, as walkout discussions intensified among Arizona’s educators, the public has wondered what the footprint of such an action would be in Arizona. A definite answer had been elusive. But now, as teachers officially report their absence to their schools and schools announce their closures, a clear picture is emerging: Arizona’s walkout is likely to be the nation’s largest in recent history. As of Wednesday morning, school closures will affect about 75 percent of the state’s public-school district and charter students. 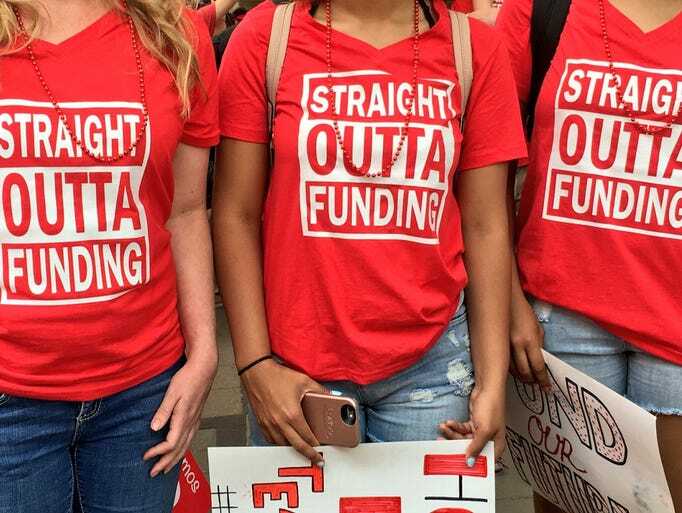 Arizona Educators United, the teacher-led group organizing the statewide walkout, announced on social media Tuesday that it expected 30,000 to 50,000 educators to rally at the Capitol on Thursday. At least 101 Arizona school districts and charter schools — with a combined 2016-17 enrollment of 844,000 students — have announced school closures Thursday. Many of them say in their notices to parents they won’t have the necessary staffs to safely operate. The Republic identified public schools that plan to close Thursday in all but two of the state’s 15 counties. The two counties were Graham and Greenlee counties. At least 48 school districts and charter schools — most of them in the state’s rural pockets — have announced plans to stay open, but they represent a minority of the state’s student population. Schools in Arizona’s 30 largest districts will be closed Thursday. Agua Fria Union High School District — enrollment 7,788 — is the largest school district in the state that plans to remain open during the walkout. Many of the schools that have announced plans to stay open cautioned parents in their notices that the plans could change depending on staffing. Tempe Elementary School District initially told parents it would remain open but then announced Tuesday afternoon it will close after all. Some of those that plan to remain open, such as Agua Fria and Laveen Elementary School District, will shorten their school days. There were several charter schools and rural school districts whose walkout plans The Republic could not immediately verify independently as of Tuesday evening. A handful of school districts in their most recent communications to parents had not yet decided whether they would remain open or close their schools. 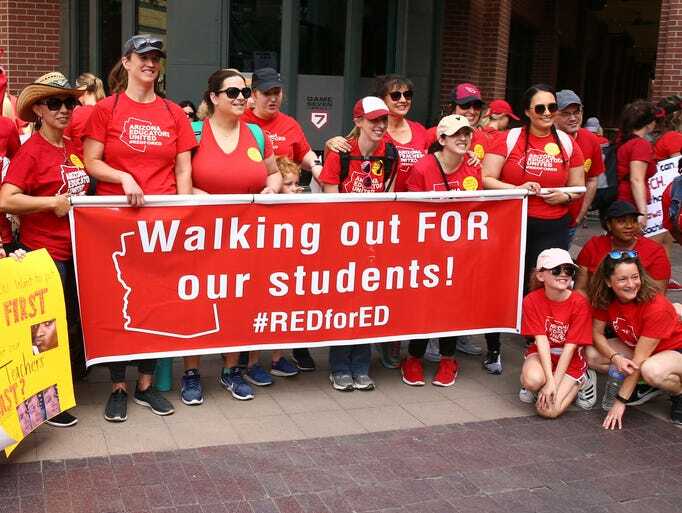 Is your child’s school closed for the Arizona teacher walkout? Pine-Strawberry Elementary School District Gila Planning to stay open “with limited interuptions to the regular schedule and activities.” Letter cites confidence in internal polling of teachers. Crane School District Yuma One school, Ronald Reagan Elementary School, will be closed Thursday and Friday. The rest of the district’s schools will remain open. The Arizona Republic and azcentral.com is tirelessly updating this list as we get more information. Check back often. Posted in Advocacy, Educators Protest, Every Student Succeeds Act, Funding For Education, Pension & Salary, Students and Parents Protest and tagged "Standing Strong for Public Education", #iBelieve, Accountability, Accountability System, Advocacy, Department of Education, Diversity, Education, Education Funding, English Language Learners, Equity, Every Student Succeeds Act (ESSA), Failing, Failing Schools, Federal Education Policy, HBCU, High-Needs Students, NEAExecutiveCommittee, Pension, Pensions, Public Education, School Choice, State Budget, Students, Tax, Testing and Accountability. Bookmark the permalink.